﻿ Congratulations to the Transatlantic Traffords! Congratulations to the Transatlantic Traffords! 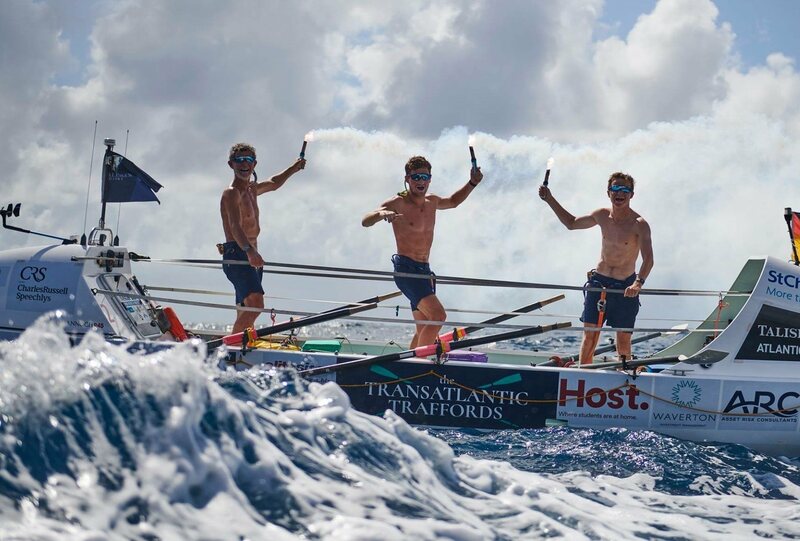 The family trio of James and his two sons, Hugo and Joe, took on the challenge of a lifetime, Rowing across the Atlantic Ocean, to raise money for St Christopher’s. Not only did they complete this but they smashed the world record for the fastest trio by 8 days! The crossing took them 41 days, 4 hours and 22 minutes! What an amazing feat, congratulations from all at Waverton.